Next month, I will be chairing and participating in two important interim committee hearings covering the impact of substance abuse on our Child Protective Services (CPS) system. On Tuesday, August 7th I will be a part of theHouse Select Committee on Opioids and Substance Abuse, chaired by Rep. Four Price (R-Amarillo). Later in August, I will be chairing the House Committee on County Affairs hearing where we will continue our discussion from the last interim about the impact substance abuse has on child removals. It was ruled back in December of 2015 that Texas’ CPS system, “violates the constitutional rights of foster children by exposing them to an unreasonable risk of harm.” It was also ordered that Texas’ CPS system be put under a Special Master (an official appointed by a judge to make sure that judicial orders are followed) to fix the broken system. 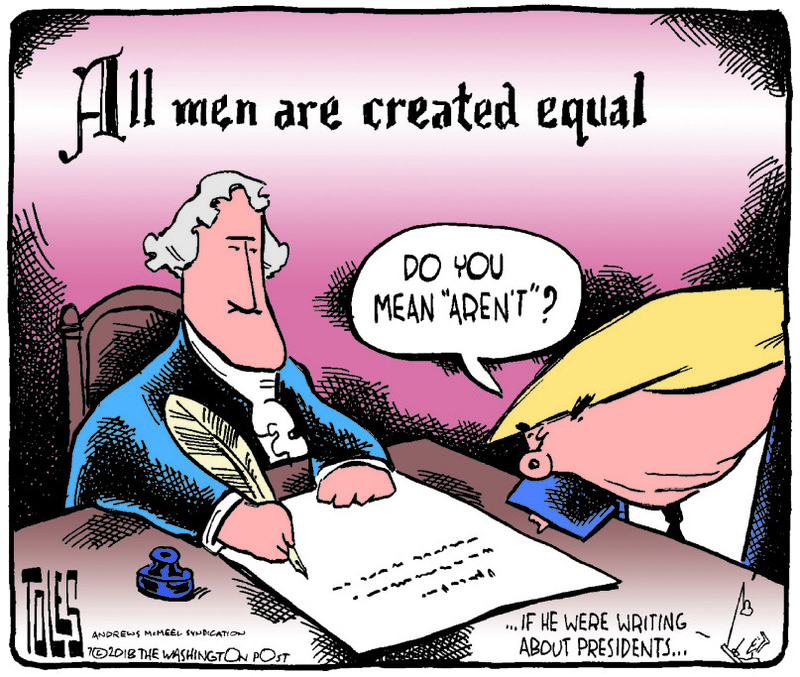 However, that has not happened because Attorney General Ken Paxton (R) has been fighting the decision, and now we are waiting on a decision from the 5th Circuit Court. Instead of trying to deny that anything is wrong, Texas needs to get busy fixing our CPS system. Last interim, the House Committee on County Affairs that I chair, identified that in order to get a hold of the situation, we need to prevent children from ever needing to enter the CPS system. The best way to do this is to address substance abuse.Substance abuse is a factor in about 2/3rds of child removals, and this rate has risen over the last 2 years from 64% in 2015, to 65% in 2016, to 68% in 2017. What is also concerning is that this problem is having a disproportionate impact on rural counties (counties with less than 100,000 people) in Texas. Removals per 1,000 children where substance abuse was a factor was over twice as much in rural counties last year than non-rural counties (3.36 per 1,000 in rural, and 1.51 per 1,000 in non-rural). 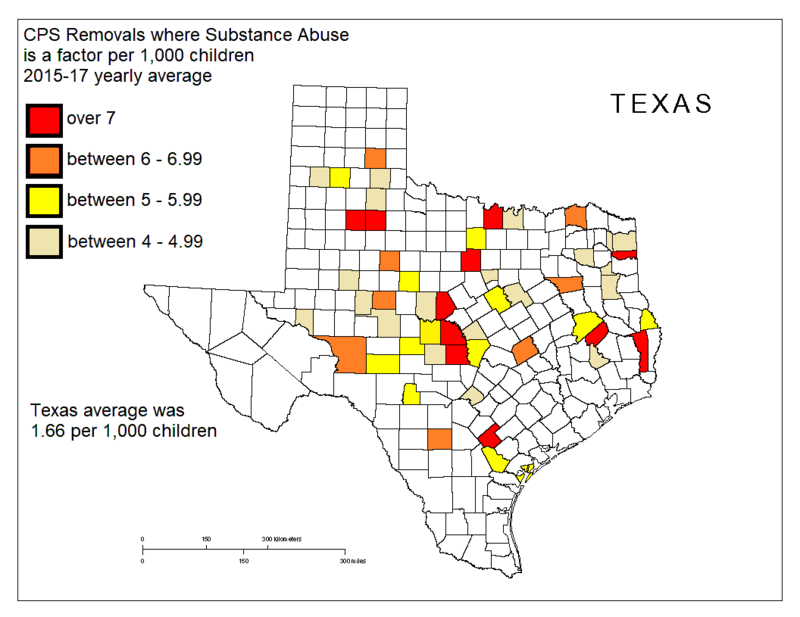 Additionally, the rate of removals due to substance abuse is going up in both rural and non-rural counties in Texas, but is growing faster in rural counties. Even though Black children are more likely to get removed by CPS than White children, substance abuse removals are hitting White children much harder and are rising. In 2017 substance abuse was a factor in 74% of White children, compared to being a factor in 58% of removals of Black children. Regardless, if you are Black or White, rural or non-rural, substance abuse is a problem Texas needs to address. Last session I added a rider to the Texas Budget that makes parents who suffer from substance abuse and have children in the foster care system a priority population for Texas’ Health and Human Service Commission. This upcoming session I will once again push for more funding for Family Drug Courts. Family Drug courts are able to keep children in the care of their parents while the parents are able to get on the road to recovery. 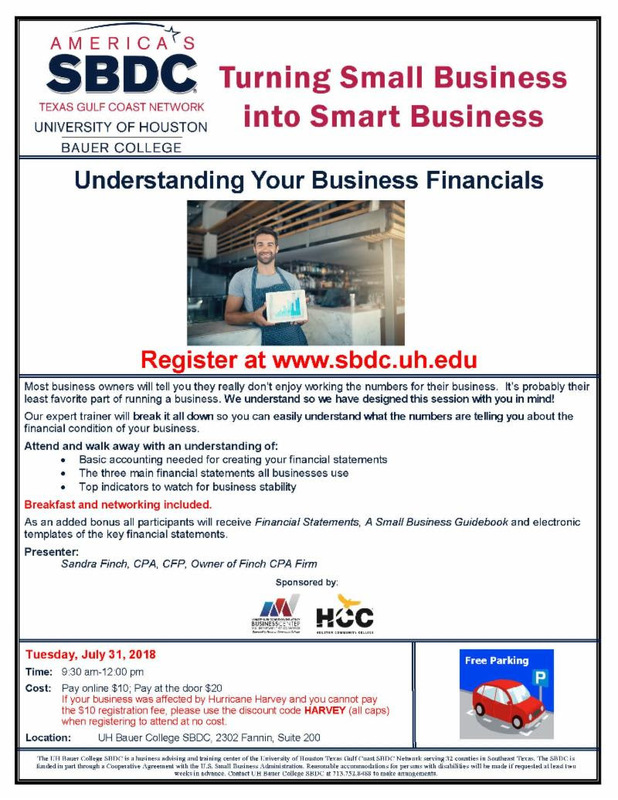 The program is cost-effective as it costs a county about $100,000 to run, and has been shown to be successful in smaller counties like Smith County, and larger counties like Travis County. I will keep you updated on this important issue, and also recap these important hearings next month. Below is a map of Texas showing where the rate of child removals per 1,000 children is highest in Texas. A special election will be held on August 25th to approve the sale of $2.5 billion in bonds for flood risk reduction projects throughout Harris County. I support the flood bond projects for many reasons, but particularly because special attention has been paid to the people of Houston and Harris County, who in the past have been overlooked in public works projects. When reviewing the proposed projects I was pleased to see thatthere is a multitude of projects in communities of color and working-class communities. Additionally, there is money earmarked in the bond language to ensure that infrastructure investments are made in low-income areas to prevent flooding and that funding is equitably distributed. I am confident that the more than 150 potential projects will make a major difference in preventing flood damage for everyone in District 147 and Harris County including people of color, and working-class families. I also support the bond because the nexus of bond projects proposed have been shown to work on Sims Bayou. Implementing the correct solutions that we have done in the past to Sims Bayou across Harris County’s 23 watersheds will make a major impact on reducing flood damage to homes all over Harris County. Furthermore, approving the $2.5 billion lump sum will put Harris County in a better situation to stretch those dollars further by potentially getting matching funds from Washington. It is vital that we make these investments now before another major flooding disaster happens. Additionally, the cost of the bonds for the individual taxpayer is very small. According to Harris County’s Budget Management Department, “If passed, the bond issue would result in an overall tax rate increase of 2-3 cents per $100 assessed valuation – meaning that most homeowners would see an increase of no more than 1.4 percent in their property tax after all bonds were sold. (Homeowners with an over-65 or disabled exemption and a home assessed at $200,000 or less would pay no additional taxes. )” I know that budgets are tight for many of us, but the bond projects are a wise investment that will prevent future losses. There is one more Community Engagement Meeting to discuss potential projects and receive community input on the emergency bond election coming up for the projects that affect District 147. Please see below for details. Hurricane season is already upon us. 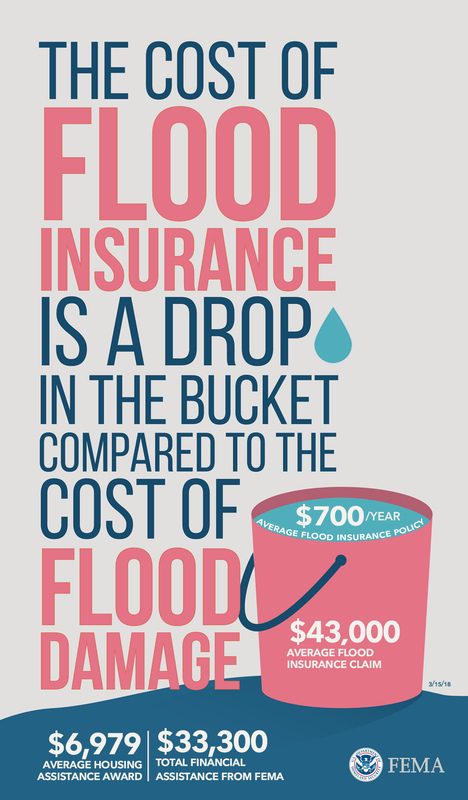 Now is the time to buy flood insurance through the National Flood Insurance Program (NFIP) if you have not already. 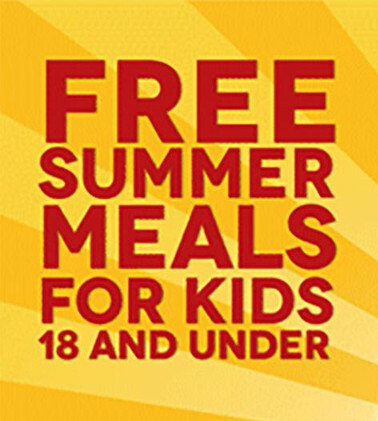 More than 190 schools in the Houston area are providing free meals for the summer for children ages 1-18 until August 2nd. Adults will be charged $2.25 for breakfast and $3.75 for lunch. Specific serving times vary by campus. A map detailing when and where meals are being served is below. Parents are encouraged to call the site before they go to confirm serving times. For more information, please click here or contact HISD’s Nutrition Services department at 713-556-2979. This week’s what to watch is a short video by Vox explaining how opioid painkillers became an epidemic. Our song of the week is “Save the Children” by Marvin Gaye.